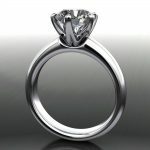 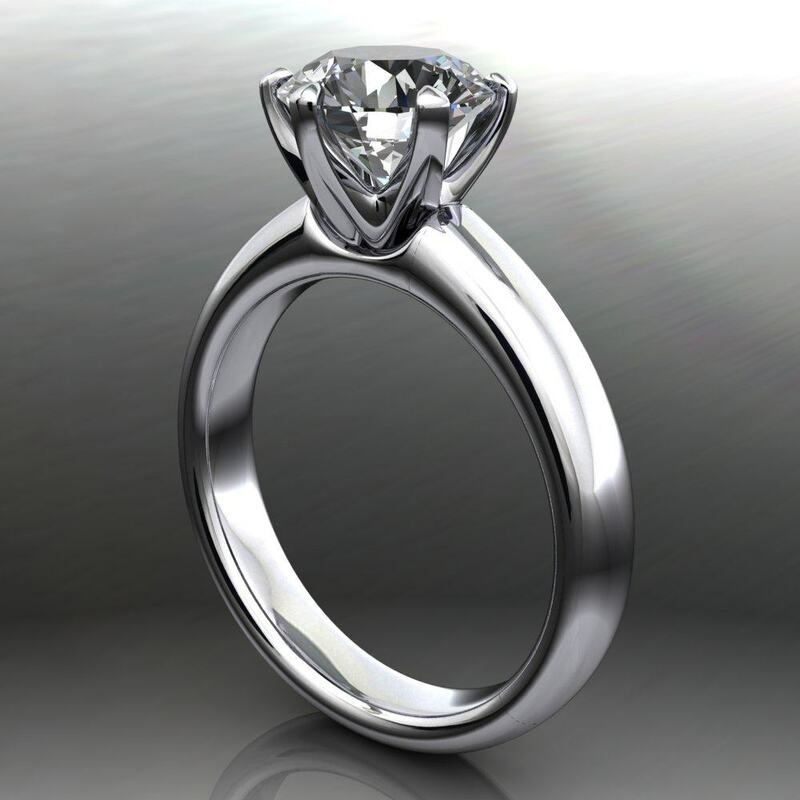 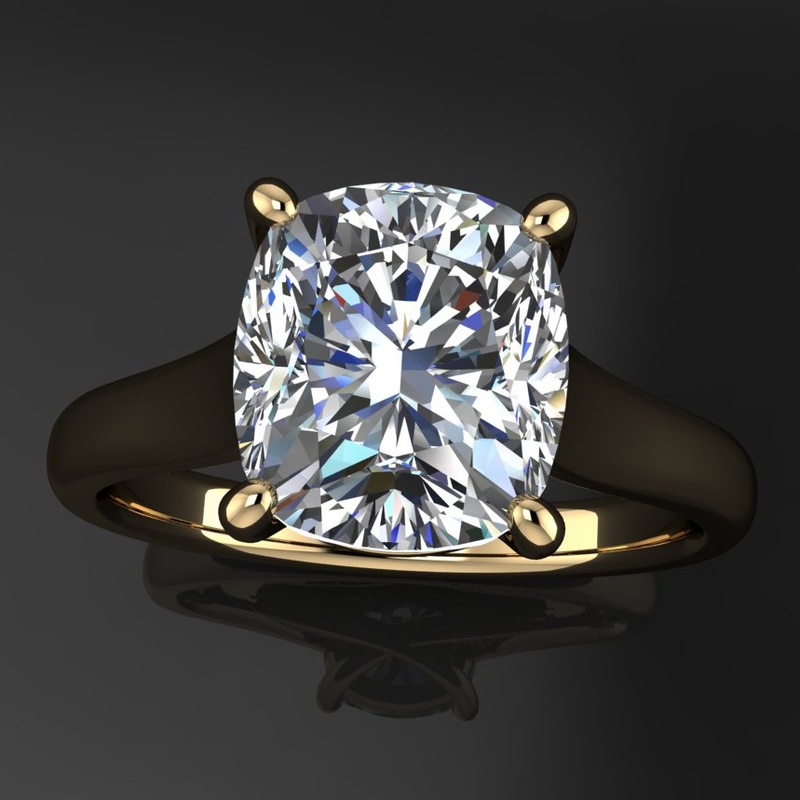 A beautiful round 2 carat Forever One moissanite is hand set in recycled 14k white, yellow or rose gold. 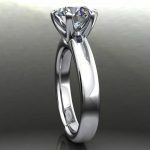 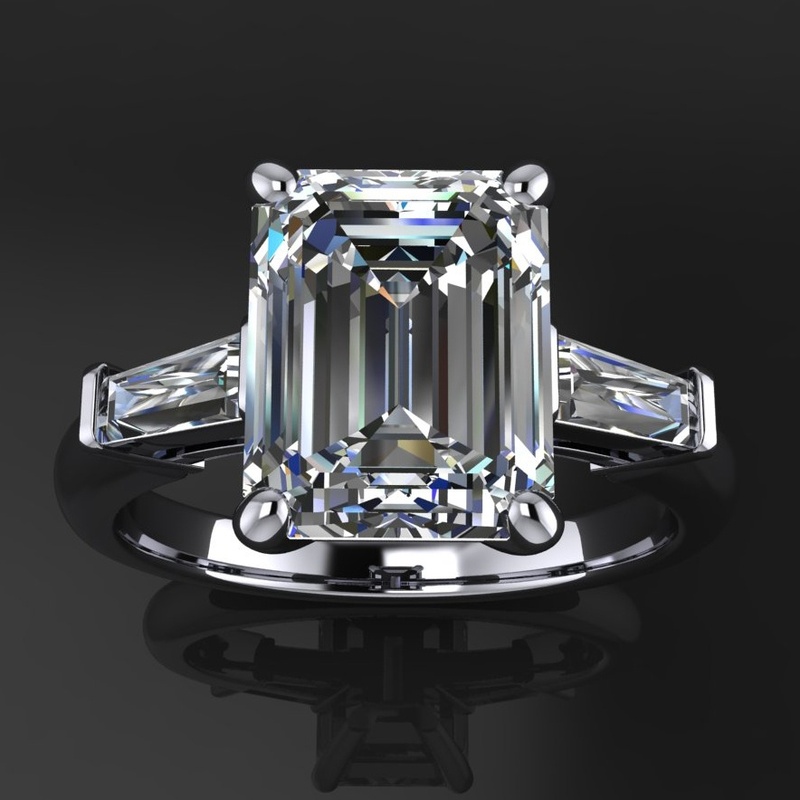 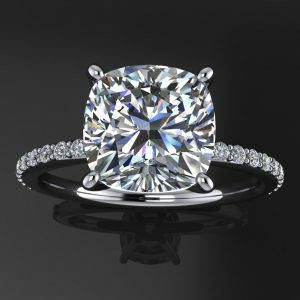 The sleek band has clean lines and a six prong setting to highlight the gorgeous center stone. 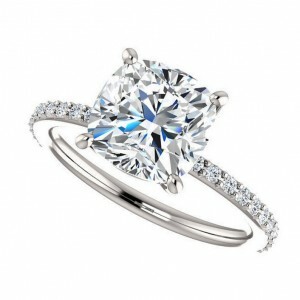 1 8mm round Forever One Moissanite, by Charles & Colvard. Includes gem certification and their limited lifetime warranty. 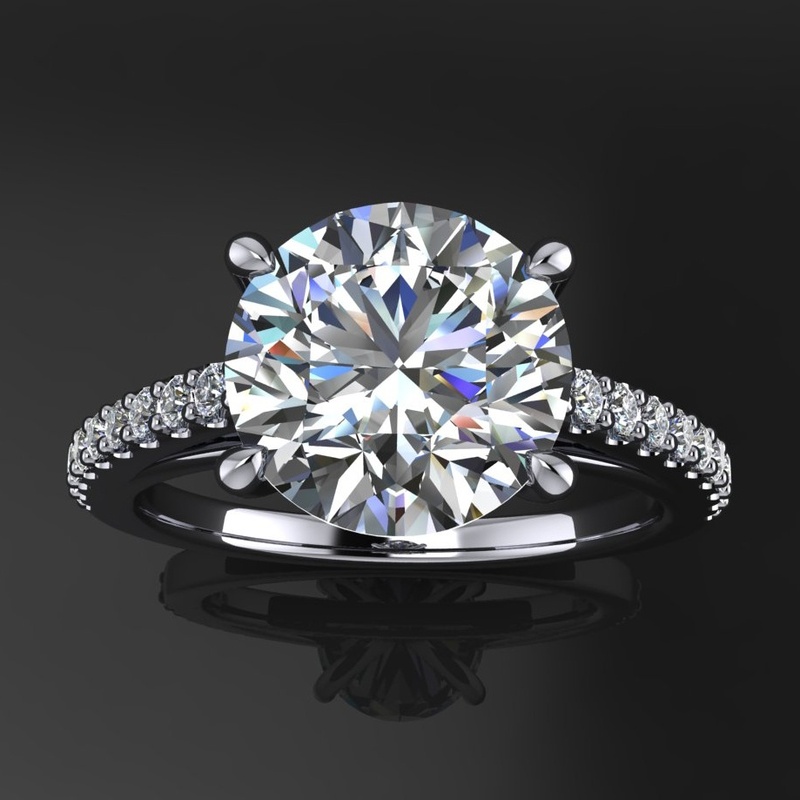 Enithgienlng the world, one helpful article at a time. 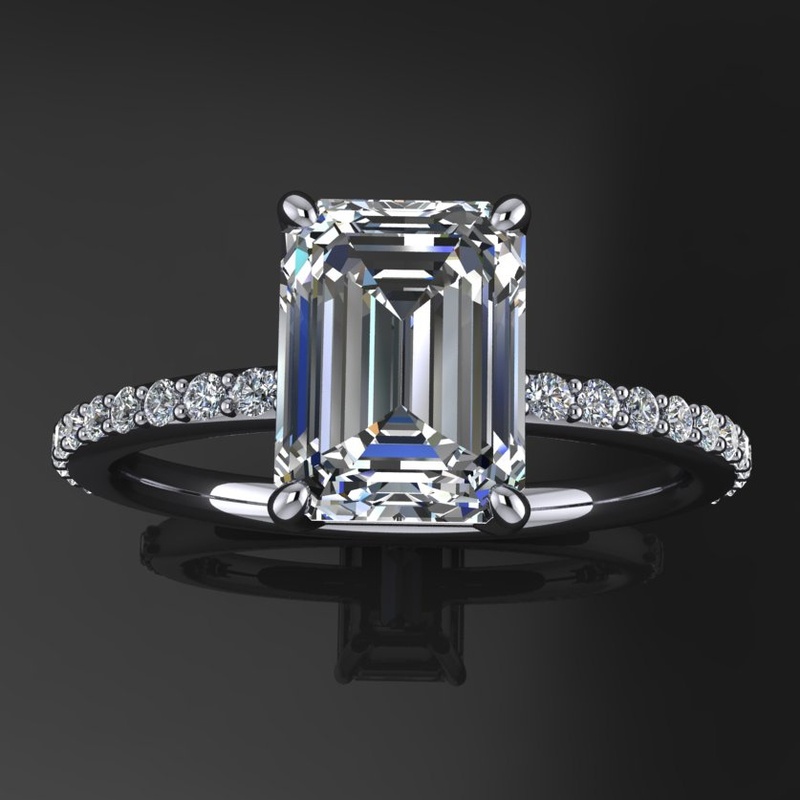 A stunning 2.5 carat cushion cut NEO moissanite is hand set into an elegant 14k white gold band, accented with sixteen 2mm diamonds. 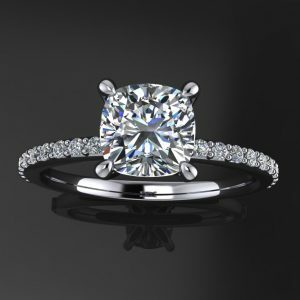 If you want a ring that will stop people in their tracks, this is it. 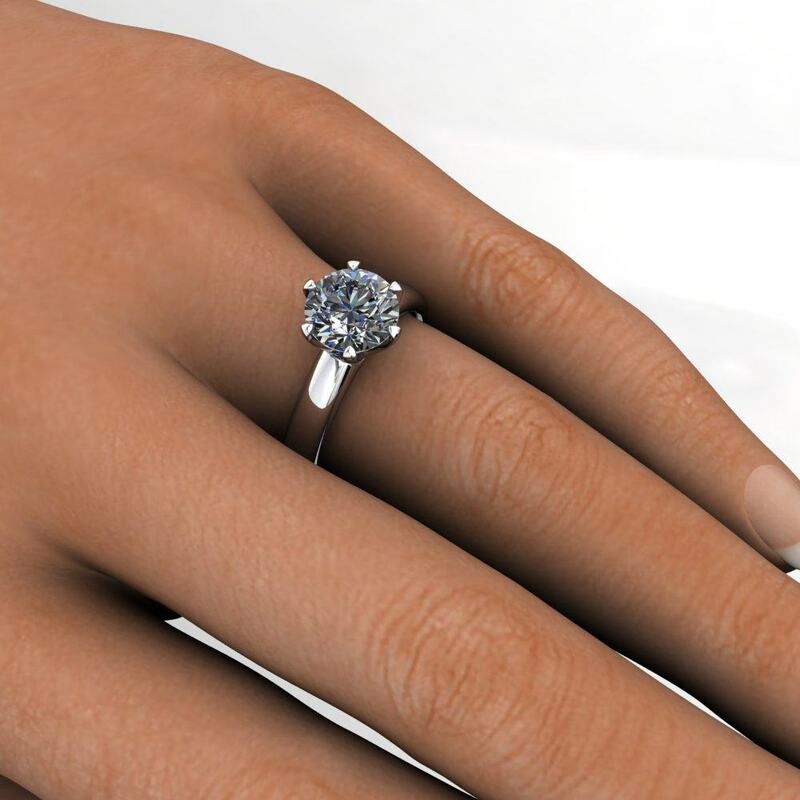 A yummy 1 carat cushion Forever One moissanite is set in 14k white gold, surrounded by 22 sparkling diamonds, setting the center stone off to perfection. 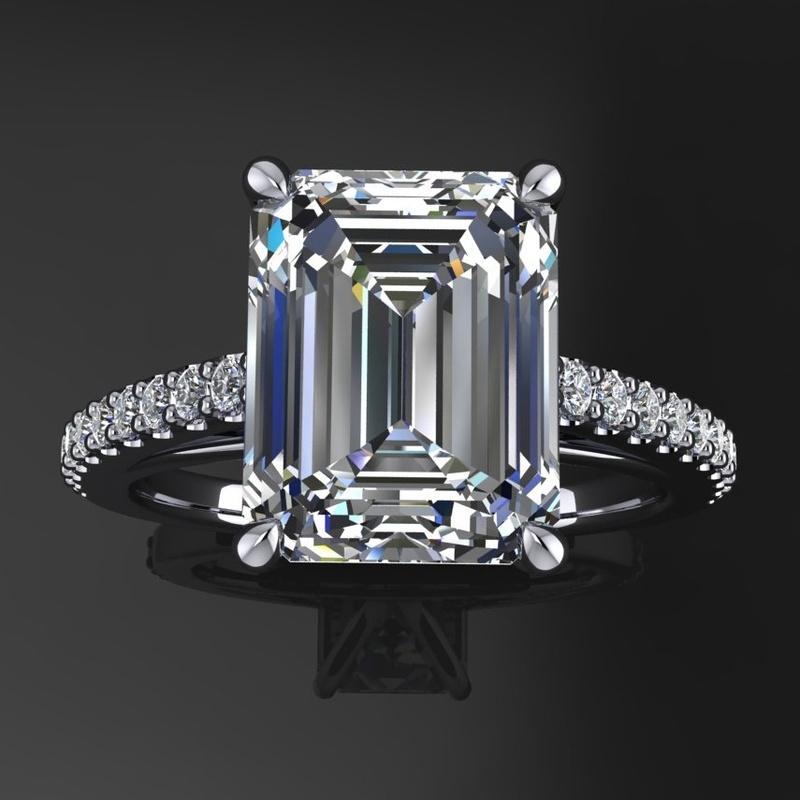 A stunning 3 stone ring, with a 4 carat emerald cut supernova moissanite center, flanked by 2 smaller but still delish supernovas.